Display your potted plants in an eye-catching way with this simple yet stylish outdoor plant stand. 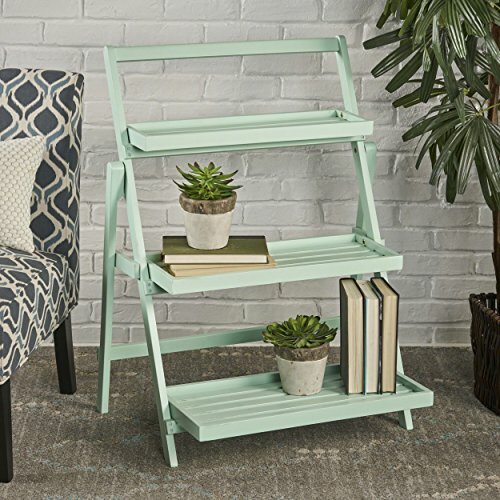 Made from sturdy acacia wood, this plant stand can be placed both inside & outside for a durable piece that will last throughout the elements & years. The sleek finish will complement the vibrant greenery of your favorite plants, & give life & style to your indoor or outdoor decor. Display your Potted plants in an Eye-Catching way with this simple yet stylish outdoor plant stand. Made from sturdy acacia wood, this plant stand can be placed both inside and outside for a durable piece that will last throughout the elements and years. The sleek finish will complement the vibrant greenery of your favorite plants, and give life and style to your indoor or outdoor décor.